The Darfur region of the Sudan has been on our news-programme television screens for some time depicted as a remote desert corner of Africa where raids, rapes and massacres occur, and where child-soldiers are recruited. In 1916 the British Army mounted a campaign against the Ruler of Darfur and a King’s Own officer, Captain A.J. Pott DCM took part. 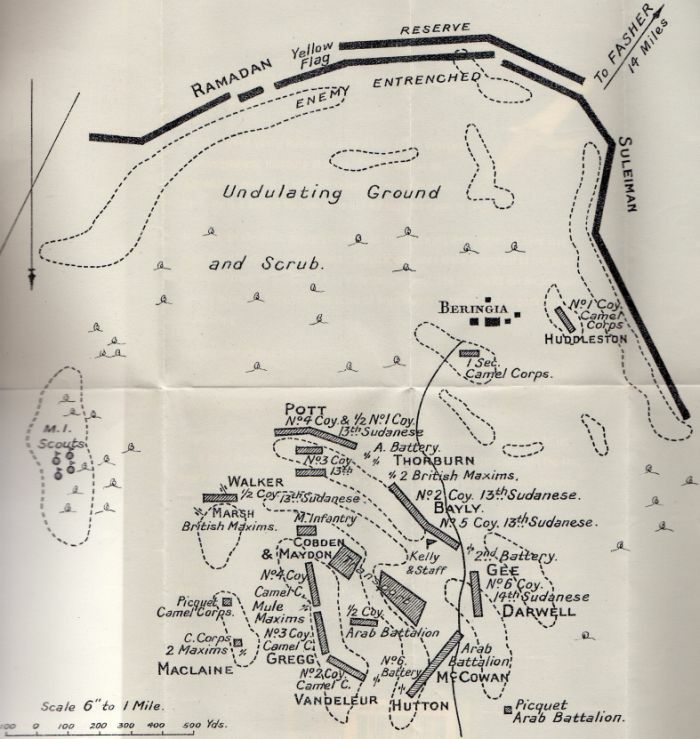 He later wrote a book describing scenes from his time in Sudan including the Darfur Campaign, and he produced the sketch map seen here of the Beringia Battle. The British had abandoned the Anglo-Egyptian Sudan in 1884 in the face of a revolt that they could not handle. 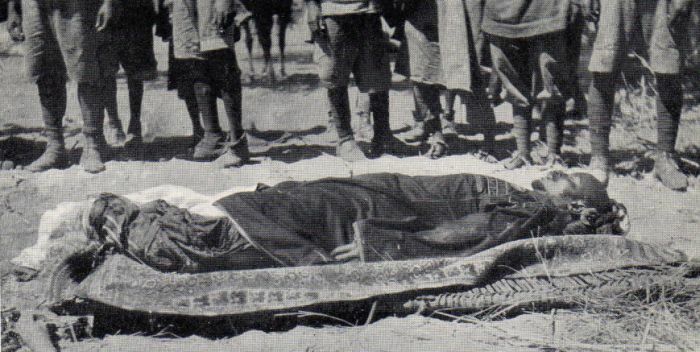 General Gordon stayed on in Khartoum but was killed and beheaded by rebels in January 1885, just two days before a British relief column arrived. Retribution was necessary and General Kitchener gained a decisive victory over the rebels at Omdurman in 1898. Darfur (the land of the Fur people) lay on Sudan’s western border with French Chad and measured approximately 450 miles (725 kilometres) from north to south and 350 miles (565 kilometres) from east to west. Just to the north was the Libyan-Sudanese border and political problems in Italian-run Libya, known as Tripoli, during World War 1 were to lead to the British campaign in Darfur in 1916. The leader of the Tama tribe in Darfur, Ali Dinar, had signified his acceptance of Sudanese government authority after Omdurman and the government appointed him as their agent for Darfur. However Ali Dinar played his own game in his remote unattractive land, gradually distancing himself from British influence. By 1901 he had become the independent Sultan of Darfur, paying nominal tribute to the Governor-General in Khartoum. Ali Dinar was intensely motivated by the Islamic religion. Historically Turkish influence was strong, and in fact Egypt and the Sudan were theoretical provinces of the Ottoman Empire until 1914 when Britain declared that Egypt was now a British Protectorate. Sultan Ali Dinar did not like this British move and when Turkey entered the Great War he corresponded with Turkish officers in Libya. Ali Dinar probably felt optimistic because at that time the Germans and Turks were providing a lot of support for the Libyan leader of the Senussi people who was fighting the Allies. The Senussi leader, Grand Sheikh Sayyid Ahmed al-Sharif, had driven Italian troops back to the Libyan coast, was supporting dissidence against the French in Tunis, had invaded Egypt, and was encouraging Ali Dinar in Darfur. Ali Dinar, believing Turco-German propaganda promising that an Islamic state would be created in northern Africa when the European colonisers had been driven out, decided to challenge British authority in Sudan. He did have some legitimate grievances, such as British passivity towards French land-grabbing on his western border, and his tribesmen did not want to accept the application of quarantine regulations when selling livestock in other regions of Sudan, but it was the arrival of around 250 rifles and some boxes of ammunition in Darfur, sent by the Senussi in Libya, that tipped the scale and decided British action against him. 1,200 baggage camels organised into five Transport Companies plus supporting medical, supply and transport services. Also and importantly, Egyptian Army HQ provided a flight of four B.E.2 aeroplanes of the Royal Flying Corps (RFC) and eleven 30-cwt. motor lorries. The British Intelligence Officer responsible for Darfur, Captain H.A. MacMichael, estimated that the Fur Army could put into the field 800 Regular Cavalry, 3,000 Regular Infantry with rifles “but very badly trained and ill-equipped with ammunition”, and perhaps up to 2,000 irregular spearmen. The difficulties of the Campaign lay not in the military opposition but in the distance to and remoteness of Darfur, and the shortage of good wells for drinking water between the railhead at El Obeid and El Fasher, the Sultan’s capital. El Obeid was 428 miles (690 km) from the military base at Khartoum and El Fasher was 400 miles (650 km) further on from El Obeid. On 16th March 1916 the British Western Frontier Force, as it was titled (quickly adapted to Waterless Fatigue Force by the British soldiers involved) marched north-westwards from the railhead through desolate scorching country – at one point it is alleged that the water being carried on camels in tins was boiling from the sun’s heat! Whilst the RFC flew reconnaissance missions and made a propaganda leaflet drop on El Fasher (one plane being damaged by a Fur bullet-strike on the propeller), mounted troops moved ahead of the main column to seize key water-holes, sometimes skirmishing for them but always being able to deploy more effective firepower than the Fur Army could. These desert water-holes had small openings about two feet square to prevent sand falling in and the water lay at considerable depths. The water was drawn up in a skin bladder on the end of a long thin rope and it took considerable skill and all the hours of darkness to bring up sufficient water to sustain the men and animals in a column. The key water-hole of Melit was seized on 18th May after a RFC bombing raid caused the Fur garrison to withdraw. The Force, now considerably fatigued, concentrated at Melit and rested in preparation for an advance south onto El Fasher. 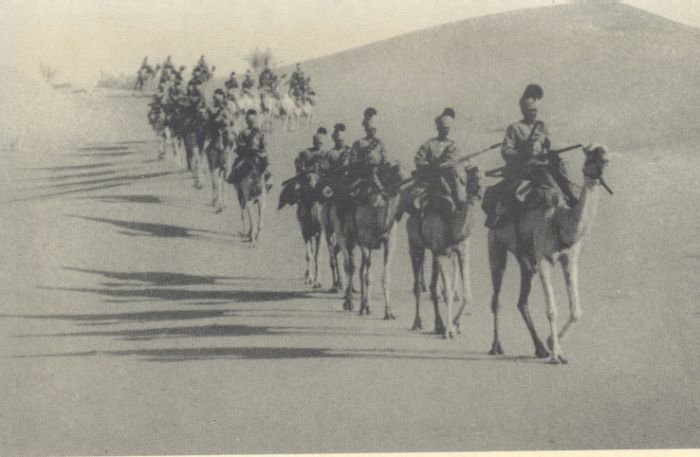 On 21st May the British advance resumed, mounted troops keeping in touch with large parties of Fur horsemen and camel-mounted troops. The following morning saw the British camp struck at 0530 hours and the whole Force advancing in square formation through large sand dunes that limited visibility. This was one of the last occasions that a large British square advanced to the attack and it must have been a memorable spectacle and experience for those involved. The Mounted Infantry composed the front face of the square, but because of the proximity of enemy mounted troops four Maxims escorted by a company of Camel Corps were added to this front face. At around 1030 hours the square halted whilst Artillery and Maxims came into action to disperse an entrenched enemy group on the left of the axis of advance. The square advanced again another 800 yards (730 metres) and began to entrench for a rest from the fierce midday heat. Now the British could see a small village, named Beringia, 500 yards (460 metres) to the front, and ominously a small length of trench containing about 200 men behind the village. Scouts returned to say that the trench was very long and contained thousands of men, but Force Headquarters did not believe this. But the scouts were right as the trench was over a mile long and contained the main Fur force that was waiting to ambush the British. As his men dug-in Lt Col Kelly planned an attack to be delivered from the left front of his square onto the length of enemy trench that he could see, and he formed-up his assault troops. However at that moment Major H.J. Huddlestone MC (who had been commissioned from the ranks of the Coldstream Guards into the Dorsetshire Regiment), the Camel Corps company commander in the front face, advanced his company without orders to a ridge to the right front that overlooked Beringia Village. Why ‘Huddle’ as his contemporaries called him made this move is not known, but perhaps from his elevated seat on his camel he had seen more of the enemy trench and wished to observe the full length of it. Major Huddleston’s move triggered a general enemy attack as the Fur swarmed out of the trench in their brightly-coloured robes, raised their battle-flags and raced towards the hated British infidels. Huddlestone’s company now withdrew, firing volleys by alternate sections, and this apparent retreat spurred the Fur warriors onwards. The British infantry on the two sides of the square now swung forward to join the face in one long firing line containing eight Artillery guns firing case ammunition (quantities of metal balls), four Maxims and five companies of Infantry. Out of an estimated 4,000 attackers the Fur left 261 dead and 96 seriously wounded on the battlefield. Because of their ability to accept wounds that would have immobilized Europeans probably many more seriously wounded Fur were carried, walked or staggered away. The British casualties were three Officers wounded, five Other Ranks killed and 18 wounded. Major Huddlestone’s Camel Corps company, which Lt Col Kelly had mentally written-off, had conducted a fighting withdrawal back into the square and had suffered only four men slightly wounded. ‘Huddle’s provocation of the enemy had drawn the Fur out of their planned fighting position and onto the British guns. That afternoon at 1600 hours the British Force advanced towards El Fasher, halting and entrenching a few miles outside the capital. Here at 0300 hours next morning 500 Fur cavalry with 300 infantry attacked the British square. The British illuminated the battlefield with star shell and magnesium flares, giving the Artillery and Maxims another good shoot. After ten minutes of heavy defensive firing this attack dispersed. 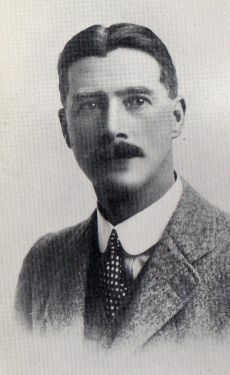 A British aircraft piloted by Lieutenant John Slessor (later to become Air Marshal Sir John Slessor) bombed the Fur assault group in daylight as it withdrew towards El Fasher. At 1000 hours Lt Col Kelly and the mounted troops entered El Fasher, which now was inhabited by women, children and old men. Sultan Ali Dinar tried to rally his men for another attack on the British, but his two best commanders had been killed at Beringea and his men started dispersing. John Slessor bombed these dispersing troops at the southern end of El Fasher, but Fur riflemen hit him and his plane. 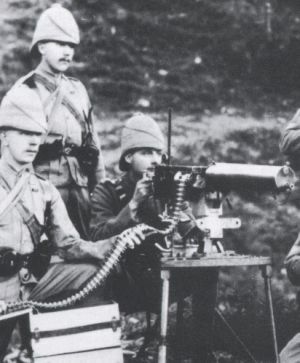 It is believed that as Sultan Ali Dinar withdrew southwards with loyal troops he hit John Slessor in the thigh with a round from a sporting rifle presented to him some years earlier by the Governor-General. The aircraft rudder controls were also damaged, making Lieutenant Slessor’s return to base difficult. Because of the impending rainy season the Royal Flying Corps now withdrew to Egypt to repair planes and pilot. Palace records had been scrupulously maintained and one book, using a page for each lady who bore them, listed the names of about 120 of the Sultan’s sons. MacMichael forgot what the number of daughters was. But Ali Dinar was still alive and so the Campaign continued. On 29 May Lt Col Kelly received a letter from Ali Dinar, renouncing his sultanate and requesting that he may live with his family quietly on his lands. Kelly replied that on his surrender the Sultan would be given safe-passage elsewhere. (He would probably have been sent across the Red Sea to exile in the Hedjaz in Saudi Arabia.) Ali agreed, saying that he would come in after the rains, but he then wrote again to say that he could not convince all of his men to surrender. Kelly wrote again, requesting a surrender, but by now the British knew that Ali Dinar was playing for time and so would have to be killed. On 7th October Lt Col Kelly sent Major Huddlestone with 250 dismounted men from the Camel Corps and XIIIth Sudanese Infantry, Alexander Pott’s Battalion, south to establish a fortified post at Kas, east of Jebel Marra (Marra Mountain). Whilst on the march ‘Huddle’ heard that a Fur force under the former Sultan’s eldest son Zakariya was at Dibbis, on his flank and threatening the British lines of communication. ‘Huddle’ rounded up some ponies for his men (now nicknamed ‘Huddlestone’s Horse’) rode on Dibbis, made a surprise attack on the Fur camp and routed Zakariya and his troops. Major Huddlestone, realizing that he was now near Ali Din’s own camp, requested reinforcements so that he could attack. Both Kelly and Wingate said “No” as they were awaiting the end of the rainy season before mounting another large military operation. But as we have seen, ‘Huddle’ was not the kind of chap to let the grass grow under his feet whilst senior officers pondered. Hearing of a Fur camp not far away at Kulme he marched with 100 men on ponies and mules and attacked the camp at dawn. Maxims dispersed the Furs, and whilst most of Huddlestone’s men made for the loot and the female companionship in the camp, Huddlestone and a small party chased the best-dressed party of fleeing Furs over a series of ridge-lines, shooting as they pursued. Three of Ali’s elder sons, one of them wounded in the leg, waited nearby ready to surrender. The Darfur Campaign was over. 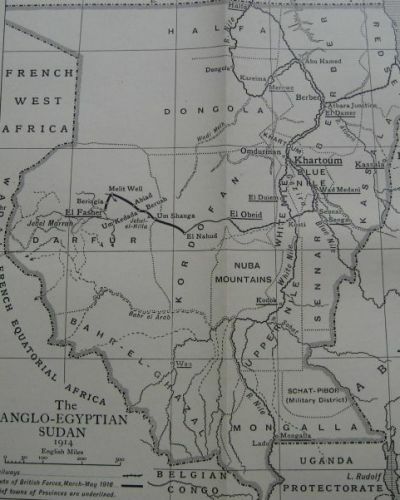 On 1st January 1917 Darfur became a province of the Anglo-Egyptian Sudan under civil administration. 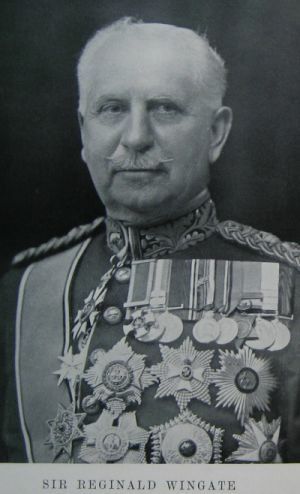 Major Hubert Huddlestone MC, who so ably demonstrated the military virtue of immediately seizing initiatives, was awarded a Distinguished Service Order and Bar, received six Mentions in Despatches during the war, and went on to become Governor-General of the Sudan in 1940 – 47. Captain Alexander Pott gained a Mention in Despatches and the silver Khedive’s Sudan Medal 1910 with clasp “Darfur 1916”. He fought on in the Sudan and earned more clasps and Mentions, as we shall see. Alexander John Pott (Right) had been awarded the Distinguished Conduct Medal (London Gazette Issue No 27359 dated 27 September 1901) when serving as a Sergeant in the 2nd Dragoons in the South African War, as well as being promoted to Queen’s Sergeant on the field for bravery. For his service in South Africa he received the Queen’s Medal with seven clasps, the King’s Medal and a Mention in Despatches. In 1916 he was an officer in the King’s Own and was attached to the Egyptian Army, serving in the 13th Sudanese Battalion. Official History of the Great War. Military Operations Egypt & Palestine to June 1917. 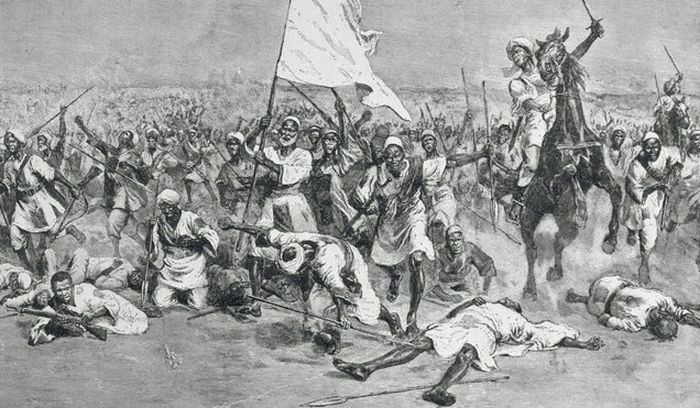 Ali Dinar – Last Sultan of Darfur by A.B. Theobald. People of the Book by Major A.J. Pott. The Camel’s Back by Reginald Davies. Empire on the Nile – The Anglo-Egyptian Sudan 1898-1934 by M.W. Daly. Small Wars & Skirmishes 1902-1918 by Edwin Herbert. Wingates’ Despatch in London Gazette Issue No 29800, dated 25 October 1916. Soldiers of the Nile by Henry Keown-Boyd.